ID: 2149 ~ Source: George H. Williams papers, #3297, Box 179, Folder 4, The Texas Collection, Baylor University. 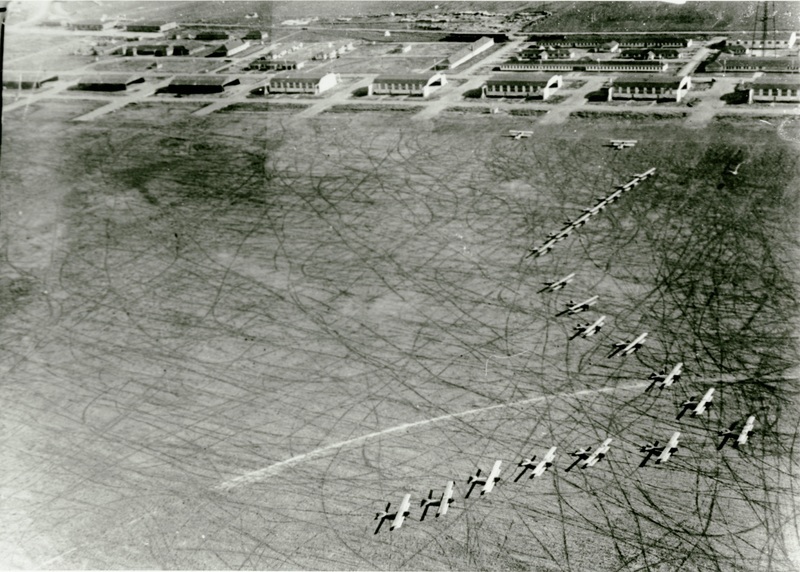 It was not until 1942 and the beginning of the Second World War that the airfield constructed official runways in the shape on an X. Before that time, the planes took off and landed on a large dirt field. This photo not only shows airplanes ready to take off, but also a great deal of lines scrawled in the dirt from planes getting in formation, taking off, and landing.